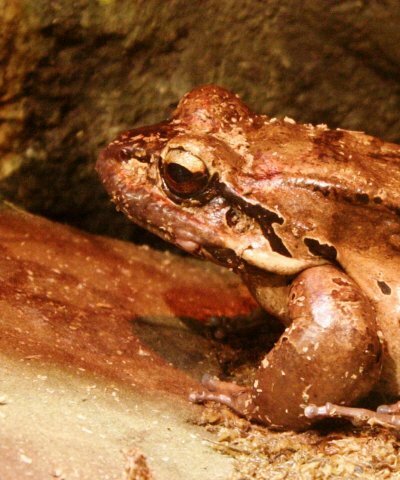 ROYAL OAK, Mich. – The Detroit Zoological Society is encouraging Southeast Michigan residents to hop to it and join the local chapter of FrogWatch USA. The citizen science program teaches volunteers how to identify frogs and toads by their breeding calls and to gather and record data that supports a national network. “We already know about the extinctions and crises amphibians face globally, but we don’t know what’s happening in our own backyards. FrogWatch allows us to monitor our native amphibians and make sure their populations are healthy,” said Detroit Zoological Society Chief Life Sciences Officer Scott Carter. Sunday, Feb. 8, noon to 4 p.m.
Thursday, Feb. 12, 5 to 9 p.m.
Saturday, Feb. 28, noon to 4 p.m. Classes will be held at the Detroit Zoo’s Ford Education Center. For more information or to register, contact Associate Curator of Amphibians Rebecca Johnson at rjohnson@dzs.org. More than one-third of the planet’s 6,000 amphibian species are threatened with extinction due to habitat loss, climate change, pollution, infectious diseases and other factors. FrogWatch is intended to raise awareness of these environmental threats. FrogWatch USA is a collaborative effort among the Association of Zoos and Aquariums (AZA) and AZA-accredited zoos and aquariums throughout the U.S. The program allows individuals and families to learn about the wetlands in their communities and to contribute to the conservation of amphibians. The Detroit Zoological Society is a nonprofit organization that operates the Detroit Zoo and Belle Isle Nature Zoo. Situated on 125 acres of naturalistic habitats, the Detroit Zoo is located at 10 Mile Road and Woodward Avenue off I-696 in Royal Oak, Mich. The Detroit Zoo is open 362 days a year, 10 a.m. to 4 p.m. November through March, 9 a.m. to 5 p.m. April through Labor Day, and 10 a.m. to 5 p.m. the day after Labor Day through October. Admission is $14 for adults 15 to 61 and $10 for children 2 to 14, senior citizens 62 and older and active military with ID; children under 2 are admitted free. The Belle Isle Nature Zoo is open Wednesday through Sunday 10 a.m. to 4 p.m. November through March and 10 a.m. to 5 p.m. April through October; closed Mondays and Tuesdays. Admission to the Nature Zoo is free; however, a State of Michigan Recreation Passport is required for all personal vehicles to enter Belle Isle State Park. For more information, call (248) 541-5717 or visit www.detroitzoo.org. This entry was posted in Detroit, Things To Do and tagged animals, detroit, detroit zoo, educational, family, friendly, frog, fun, learn, Royal Oak. Bookmark the permalink.